Accident Lawyers with 100+ years combined experience representing victims of MBTA bus, train, light rail and pedestrian crashes. Over $20 million recovered. 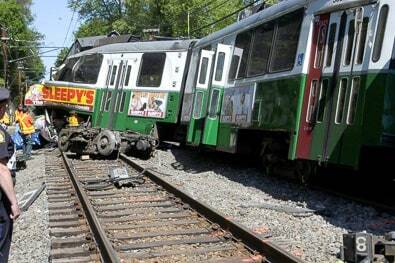 If you or a loved one has been injured by the negligence of the MBTA, you should seek representation from trial lawyers with proven experience winning cases against the MBTA. In the past 25 years, Breakstone, White & Gluck, P.C. has successfully tried and won a number of record-breaking cases for victims of train, light rail, bus and MBTA vehicle accidents. When you are hurt by the careless actions of the largest transportation authority in New England, you should consider hiring the law firm with a track record of large verdicts and awards for these accidents. 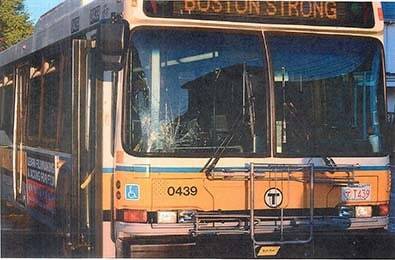 When a MBTA accident lawyer from Breakstone, White & Gluck represents you, the MBTA lawyers will know that you will receive the highest quality representation. They will know that if they do not make a fair and just offer of settlement, a lawsuit will follow. They will also know that your case will be tried with the highest degree of skill and professionalism, utilizing the nation’s top experts. They also know from experience, that Breakstone, White & Gluck will pursue the case all the way up to the Supreme Judicial Court, the highest court in the Commonwealth, if necessary. Attorney Marc Breakstone successfully obtained a $7.1 million judgment for a 58-year-old woman who was run down by an MBTA bus in a crosswalk. The accident occurred in September 2005 in Boston's South End. The woman suffered tragic and serious injuries and was rushed to a local emergency room, where her right lower leg was amputated. 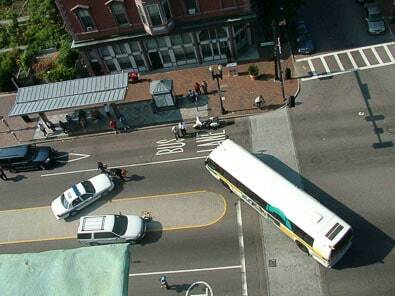 The MBTA disputed liability for the bus accident and claimed the plaintiff negligently failed to see or hear the bus before she was hit. At trial, the MBTA argued that other pedestrians had seen or heard the bus and stepped back onto the sidewalk, but that the plaintiff had continued into the crosswalk. After the two-week trial concluded, the jury deliberated for two days and returned a verdict for the plaintiff. The jury found the MBTA 100 percent at fault. The MBTA appealed and sought to overturn the verdict and to avoid the pre-trial and post-trial interest. The Appeals Court later rejected the argument and the final award for our client with interest was $7.1 million. Attorney Ronald E. Gluck successfully negotiated a settlement for a 37-year-old woman who was trapped and seriously injured in a fatal Green Line subway crash in May 2008. The Green Line driver was killed in the collision. The woman, who was seated right behind the driver, suffered serious injuries and bone fractures, requiring surgery and an extended rehabilitation period. The accident occurred along the tracks in Newton, between the Waban and Woodland stations. Our 77-year-old client, a retired master barber, was crossing Dudley Street in Roxbury when he was struck by an MBTA bus. 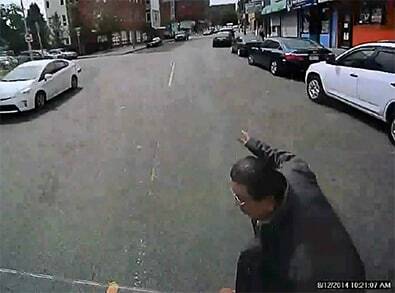 The on-board video showed that he was visible to the operator of the bus for at least three seconds before the driver took any evasive action to avoid striking him. Analysis of the video also showed the bus was traveling well above the speed limit. Further, the bus driver falsely reported to the MBTA Police that our client had run out from between parked cars. The video made clear that he stepped off the corner into the street and did not walk between parked cars. The video also demonstrated that he was not running. Our client had been healthy and vibrant and lived an active life prior to the incident. Following the incident, he was hospitalized for two months with multiple fractures and a traumatic brain injury. After his release from the hospital, he exhibited significant cognitive decline as a result of his traumatic brain injury. The case was settled by Attorney Marc Breakstone, pre-suit, for $1.375 million which will ensure that all of his medical and life care needs will be met. Our 88-year-old client, a World War II veteran who fought in the Battle of the Bulge and spent 6 months as a German POW., was walking to his weekly VFW meeting when he was hit and killed by an MBTA bus. The driver of the bus claimed solar glare prevented him from seeing our client in the crosswalk. However, expert analysis of the crash demonstrated that the driver was not using his visor to block the setting sun as he drove down the busy commercial street where he hit our client. Personal injury attorney Marc Breakstone successfully settled the case, pre-suit, on behalf of the guardian of our client’s wife, who was a nursing home resident. If you would like a free consultation with one of our experienced MBTA injury lawyers, please call us at 800-379-1244 or 617-723-7676 or use our contact form.